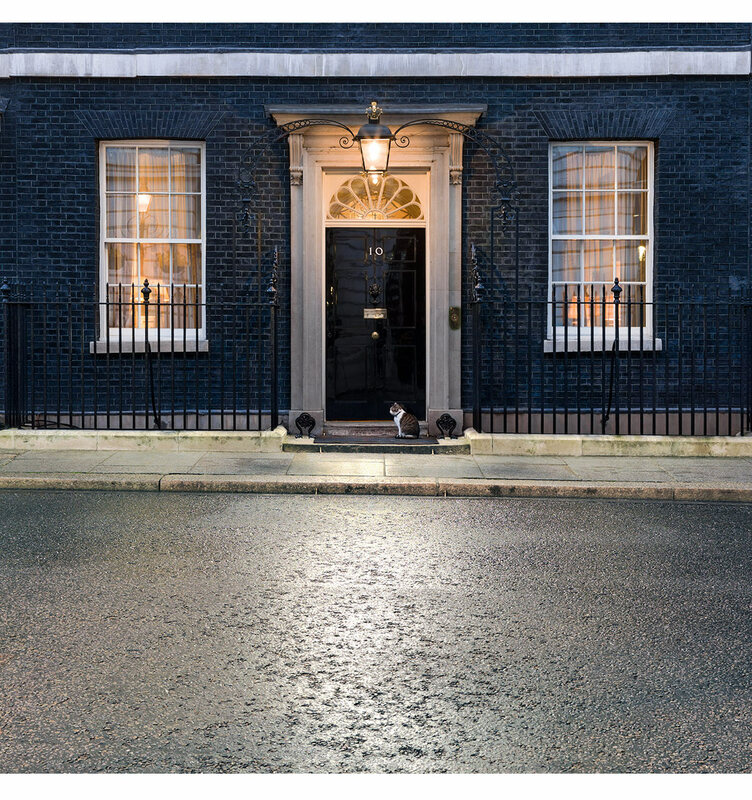 10 Downing Street, London. Larry the cat. Prime Minister's residence at dusk.